The successor to Microsoft’s wildly popular Xbox 360 gaming console, tentatively known as the Xbox 720, will feature a power plant that is reportedly six times faster than what the current console is capable of. 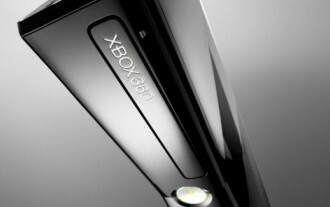 Sources close to the project have told IGN that production on the GPU used in the next-generation console will kick off by the end of 2012 for a fall 2013 release. Contrary to earlier rumors, it is now believed that the 720 will feature graphics based on AMD’s 6000 series GPU rather than the 7000 series Southern Islands GPU that had been previously pegged for the system. More specifically, the GPU will be similar to the AMD Radeon HD 6670 GPU and feature multi-display out, DirectX11, 3D and 1080p HD out. Graphics cards based on the HD 6670 currently start around $79.99. As noted, the GPU should be good for real-world performance that is six times better than the Xbox 360 and about 20 percent better than Nintendo’s next-generation console known as the Wii U. Nintendo's Wii U is expected to be released in the second half of 2012. Developers will likely get their hands on development kits based on the system’s final configuration as early as August in order to give them plenty of time to create games for the console. The 720 is expected to launch in late October or early November in time for the 2013 holiday buying season. No projected price for the system was given.